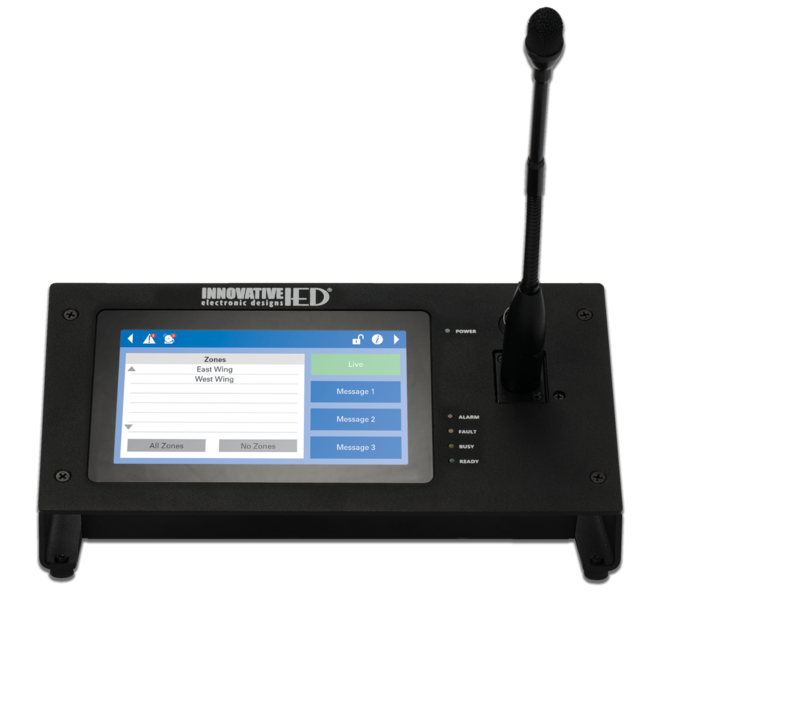 The IED550CS-H/G digital communications station is a fully programmable touch screen user interface device for initiating audio/visual announcements with GLOBALCOM Announcement Control Systems. Each model utilizes an electret condenser cartridge that is positioned in the housing such that its frequency response is enhanced. The microphone element location provides the mechanism for good acoustical coupling to provide a full-bodied, highly intelligible voice signal. The IED550CS-G includes a gooseneck microphone. The IED550CS has an auxiliary line level audio input which may be used as a (local) background music source. The station also has a line level audio output which may be used as a zone out. 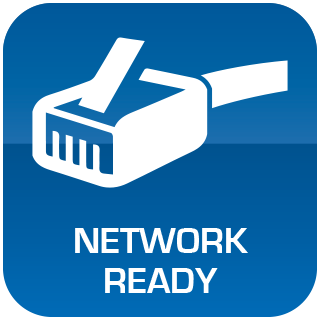 The IED550CS is a network appliance in which each station may obtain its IP address automatically or be assigned a unique IP address which simplifies installation and configuration. Fully Programmable touch screen User Interface. The gooseneck microphone contains an omnidirectional electret condenser microphone cartridge integrated with a microphone preamplifier and an audio line driver. The microphone element is mounted in the metal windscreen portion of the gooseneck. The preamplifier and line driver are on a PC board mounted inside the base of the gooseneck on an XLR connector. The microphone assembly is a 12” gooseneck with a hard metal windscreen at the top and a 5-pin XLR connector in the base for mounting.